A vinegar-and-water foot soak can soften the skin on your feet and make calluses and dead skin easier to remove. Vinegar also kills germs and bacteria, helping to get rid of athlete's foot and foot fungus. 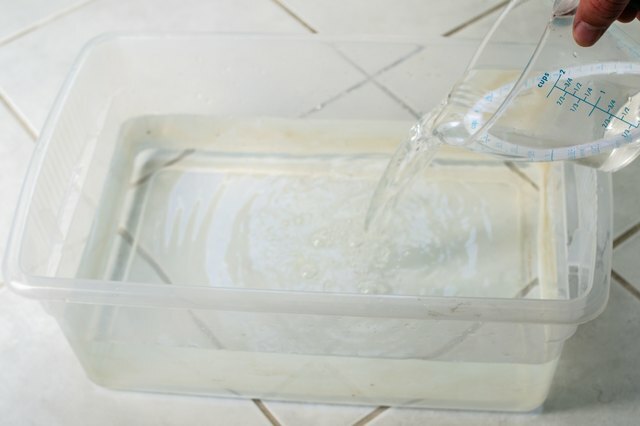 Soaking your feet in vinegar and water is relatively inexpensive compared with other foot-soak solutions and requires no other ingredients outside of the two items. 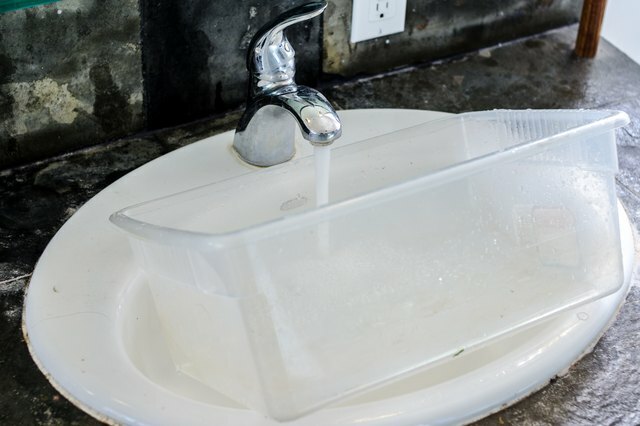 Fill a tub with 2 gallons of warm water. Add 1 cup vinegar to the water. You can use apple cider vinegar or distilled white vinegar; use whichever one smells better to you. Soak your feet for 45 minutes. Remove your feet from the water. 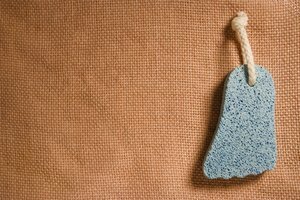 Scrub trouble areas in light circular strokes with a pumice stone. Rinse and dry your feet when finished. 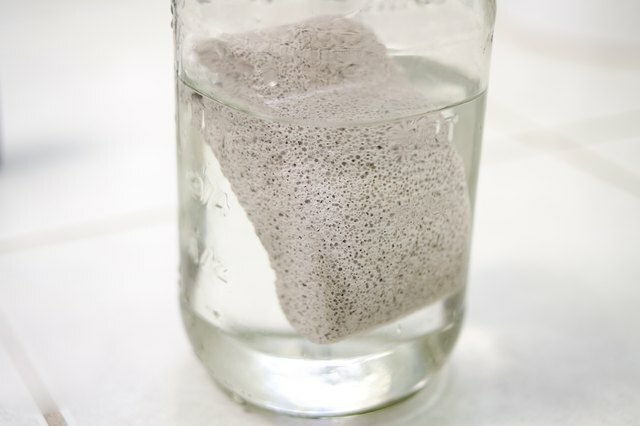 Clean your pumice stone in vinegar after each use. If your goal is to eliminate a case of athlete's foot or rid yourself of toenail fungus, soak your feet for several days in a row to kill all bacteria. Increase the amount of vinegar in the solution if you have a more severe foot problem. After the soak, your feet will smell like vinegar. Moisturize them with a lotion to remove the vinegar scent.